What Do You Think About This Prospecting Call I Received? I’ve posted lots of actual call examples over the years, and those of you who have been in my live training have experienced many others as well. They always are instructive, and quite often entertaining. As I say, you just can’t make up this stuff. Today’s example fits that description. Take a listen. So, what are your thoughts? Please do share them in the comments section of that page. I will share mine about the call content in next’s week email. I’m guessing that many of you will say exactly what I will next week. What I do want to comment on now is another pet peeve of mine: Sound quality on phone calls. The recording here distorted my end of the call a bit, and his end actually sounded worse live. I had a very difficult time understanding the caller. Granted, he had an accent, but when I could hear him he seemed to articulate fairly clearly so that wasn’t the main problem. The problem is with the equipment used to convey the message. It is beyond me how anyone whose livelihood and income relies on the messages they communicate would not ensure that message is delivered crystal-clearly. Don’t use a cell phone for business calls. Smart phones are great for everything but talking to people. Unless you must make a brief call from your car, or wherever, do whatever it takes to call from a landline. Yes, a landline. If you’re working from home, wow, what does it cost? Under $50 a month maybe? Invest in the best headset available. All of the old objections for not using headsets are gone with today’s design and technology. This is the vehicle that will be transmitting your message to your listener… do be a cheapo here. Would Adele get her microphone at Staples? Would a highly-paid voiceover artist get his mic at Best Buy? I use and recommend the best in the industry, Sennheiser. Audiophiles out there are familiar with the brand. I only use the OfficeRunner. In fact my friends at Headsets.com want to give you one to test drive free for 60 days. Check out my video below for how you can do that. Ok, let’s see your comments below on this call. What did he do, not do…what should he have done differently? This is clearly a spam caller, and not a real sales call. This is like the calls I receive at home from call centers claiming to be from IRS Services (yes, plural. That’s how they say it) and those companies that tell me that my computer has been infected with a virus and that can help me. They’re out to scam unsuspecting victims. Sam Johnson appears to live in Los Angeles by way of India. 🙂 Had this been a real attempted sales call, he would have immediately lost all credibility trying to pass himself off with that name when 99.999% (he could be adopted) of the time it’s a fake name. Great stuff Art. Obviously this caller didn’t read your book “Smart Calling”. Reminds me of the 10 calls per day I receive from people who have no idea why they are calling. You were very kind to him, so I’d say every sales professional’s first thought is how much respect you have for the profession. Good on you for that, a cold callers dream. While it is important to have a solid Purpose, Process, Payoff when going into a call, he really should have done his research. With all the available tools today (I.e., your website, your LinkedIn, etc) he could have had a far better understanding of who he was speaking to, and exactly how a partnership would be mutually beneficial. If you have to ask ‘what are you into’, you really shouldn’t be picking up the phone. those two points are enough to have taken him from a 0/10 to a 1/10, which is a huge jump in the right direction. We learn from the good, but the bad is equally as educational. Thanks for the share! He was probably calling from a contract telemarketing firm somewhere in India or Asia. You could tell he didn’t know much about what “his” company offers, so it’s unlikely he works for them or has received any training from them. It amazes me when a US company thinks they can do their telemarketing on the cheap by contracting it offshore when the result is phone calls like this. It’s certainly possible to outsource but that doesn’t relieve you of the responsibility to work with the telemarketing firm to prep their callers so they can respond intelligently to questions. And prep also means doing enough research ahead of time on the companies being called so the caller can talk intelligently about how they could help you. Whatever telemarketing firm this guy works for obviously doesn’t place any value on that kind of preparation. And the US company that contracted them probably doesn’t understand it either. They were probably only looking for the telemarketing firm that could place the most calls per hour at the cheapest price. Clearly the caller has not even been to your site. Clearly the guys stated name isn’t his name. Clearly he’s not in India. These types of calls are what are hurting the digital marketing industry. They don’t care to research anything, they prey on those that don’t understand digital marketing, they misrepresent themselves and their services. 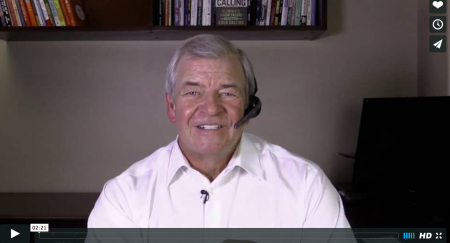 From a cold calling perspective, I there are some great lessons here. First, if your English (or language that your target audience is in) is bad then hire a native speaker to represent you. Second, if your calling for partnerships, actually examine the business owner you are calling (wasn’t that in Chapter 2 of your book Art?). Thanks for sharing. This is unbelievable. I hope this company is not outsourcing their outbound sales team, because this call was atrocious. Calls like this give those of us who engage in professional selling a “bad rap”. Companies should invest heavily in making sure their team is properly trained before picking up the phone. Outbound calls should be conversational and should qualify, qualify, qualify. The only way to do that is ask questions and focus on the buyer. I am sorry but he lost me at Sam Johnson. Anyway the distortion in the phone was too much for my ADD hyper sensitive hearing to withstand. I feel sorry for Sam. He’s trying to make a rupee working in a distributed boilerroom from home, with a cell phone because he has no land line. The company has given him a bridge to call the US, a script, and a list. People like Sam only last a short while, so the company doesn’t make any money if it takes time to train him. He might have a chance if he were selling razor blades or encyclopedias, but unfortunately his script contains “ecommerce,” whatever that is. It is possible, however, that he will sell something to someone. We are curious creatures. Years ago, when they still sold books, Encyclopaedia Britannica got into trouble in Japan because of its sales tactics (in the US also, but that’s another story). Investigators found people who had multiple sets of the encyclopedia stuffed under their beds. They couldn’t read English, but felt sorry for the salesman. William H. Macy was in a TV movie about a nebbishy, door-to-door salesman at one of the few remaining companies selling door-to-door and was closing it down. He makes salesman of the year. One day he calls on one of his best customers. It turns out she died and her son shows the salesman the bedroom filled with unopened boxes of his product. Anyway, none of this really matters because CERN is firing up the large hadron collider and it is well known that when it reaches full power it will create a black hole that will swallow up the Earth. Somewhat reminiscent of my years in Southern California, trying to talk the counter person to order lunch at Taco Bell. 1) volume up to high distorts the call. adjust the volume. 3) no questions to start the call. like what do you do? Sam would have done well to do some basic research on your company before he placed this call. It would have helped him to have a benefit statement in place & a rebuttal or two in mind. The most basic research would be to look at Smart Calling (book or blog) and determine what he has to offer Art. If Art is like my prospects, he is thinking, “What’s in this for me?” Thanks for sharing Art. My biggest pet peeve is listening to someone who doesn’t speak clearly. I instantly though his name was fake and he couldn’t even pronounce the company name after multiple attempts. I also doubt that he was calling from Los Angeles. Probably a company from LA is using people in India to drum up some business rather than employing people who actually speak English and have some trainable talent. I always wonder who hires people who can’t be understood for a telesales job. Shocking!! The caller obviously gets around. I’m sure I’ve spoken with him dozens of times when calling customer service help lines. I’m not sure he knew what he was calling you about. At first it was website development, then ecommerce and he even mentioned ERP! Clearly no call plan, no research into your company and no value add proposition to your company whatsoever. You can’t make this stuff up. Thanks for sharing! I can’t stop laughing. Honestly, it was comical. That being said, I need to always be listening to myself and ensuring I am clear and concise. The folks I call on get blasted with telemarketing all day, so they are ornery to begin with. Thanks Art. I agree that guy was brutal. The main thing he did NOT do is answer your questions. He was all over the board. I would have hung up right away. He was also very unclear about what he does and offers – is it web design, e-commerce, ERP, all of this? Also not knowing anything about your prospect’s business is so wrong. This is step one in lead generation and what you can offer him/her. Wow, not impressed with whoever he is! This call was very unorganized and extremely poor quality. He REALLY wanted to send you a mailer. I wonder if the ultimate goal of the call was not to actually try to sell something but to get confirmed mailing and contact information for mailing list sales. Since many people just say go ahead and waste your money mailing me something, he probably has a lot of success with that WITHOUT people realizing what he really wanted. Website, eCommerce, and IT are such general topics and most small businesses likely have some sort of issue with one of them, that just give the mailing info to get the person off the phone without being negative. Love the recording. He clearly wasn’t prepared but more than anything needs to be able to view things from your perspective. What is your business lacking and how can he help you improve? Great post Art. Actually as an owner of a home automation company in Chennai that functions out of my house, the very first thing I purchased for my home office was a landline. I totally agree with you on the quality of cell signals while handling important business negotiations.